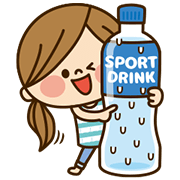 http://www.line-stickers.com/ – Kawashufu: LCF 2016 Line Sticker | An exclusive sticker set for the LINE Creators Festa sticker festival! 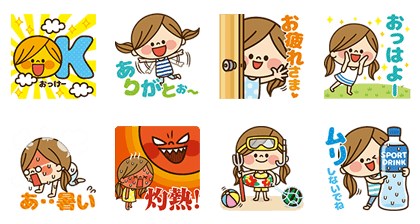 This summer version features cute phrases that can be used in all sorts of conversations! Available till July 10, 2016.